Home » movies , reviews , the wednesday morning breakfast club » Chris gets astoundingly charmed by THE WEDNESDAY MORNING BREAKFAST CLUB! Chris gets astoundingly charmed by THE WEDNESDAY MORNING BREAKFAST CLUB! The other week I was up late working on the book. It was frustrating me to no end. So I turned on the television, allegedly for background noise thinking maybe it would inspire me. And it did, but not the way that I imagined. Because for some reason I wound up on a local station that was less than a minute into something called The Wednesday Morning Breakfast Club. It was a movie. And from the first moments, it captivated me like few films I've seen of late have. Directed by Justin Barber, The Wednesday Morning Breakfast Club is the tale of young waitress Megan (played by Stacey Bradshaw) and her career at a small restaurant. Simple enough. 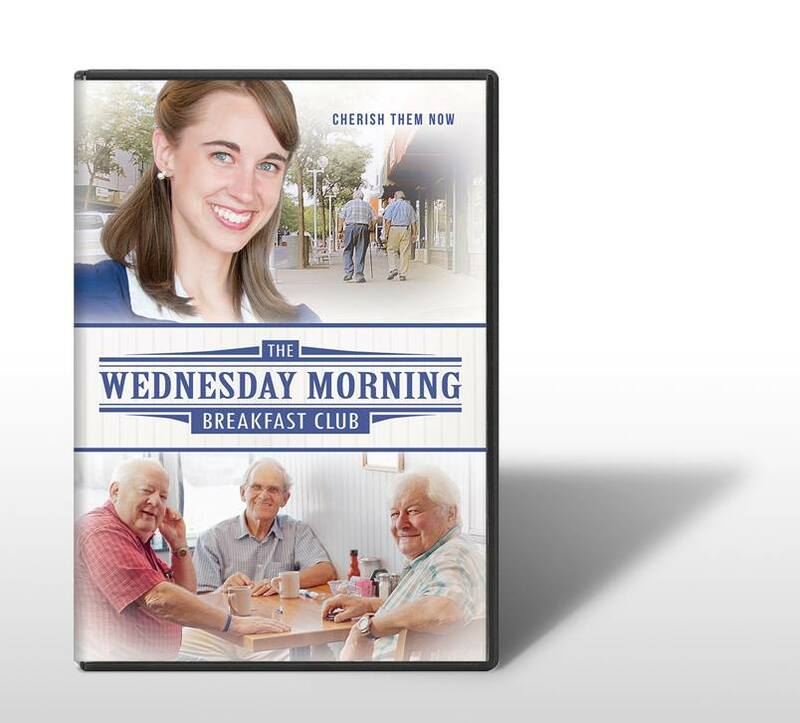 Except that every Wednesday morning Megan's routine runs afoul of three senior citizens who arrive for breakfast and hold court. They practically come in and take over the place. Which never fails to rub Megan and fellow waitress Martha (Amanda Barber, who also wrote the script) the wrong way (though restaurant owner Virgil seems to take perverse pleasure in the elders' antics). No matter what Megan and Martha do, the three men always find something to gripe and complain about, and it's getting on the two ladies' nerves to no end. But then one day Megan has an idea: instead of her and Martha merely tolerating the three, why not go out of their way to be nice to the three men? Meaning such little things as having their usual breakfasts prepared for them when they arrive. And taking some time to talk to them as being more than merely customers. What transpires is the beginning of a beautiful friendship between Megan and the Wednesday morning breakfast club. One that finds Megan and the three gentlemen seeing each other in a new light, and has Megan especially coming to appreciate her new pals for their experiences and the cheerful natures that have been hiding behind a fading facade of grumpiness. The Wednesday Morning Breakfast Club is an outright delightful gem of filmmaking: one that packs a lot of humor, heartbreak and life lessons in its 50 minutes running time... and if there's any complaint about this film it's that I wish it had run longer, so captivated was I by these characters. Justin and Amanda Barber have filled their story with some terrific casting bringing to life nothing short of perfectly nuanced and even slightly quirky characters. Stacey Bradshaw plays a frustrated-turned-bold Megan with tremendous talent, and with this film under her belt she definitely deserve to go far. There is some gorgeous cinematography at work in this film, with each shot given a loving amount of care and attention. It is, by every measure, a movie well done. But for me personally, the most fun about The Wednesday Morning Breakfast Club is the weekly trio who congregate at the restaurant. Werner Reidel, Hans Willer and David Maysick are a hoot to behold as Heinrich, Nathan and Ricky. The three are concentrated curmudgeon-ness and gripe. But as Megan works her way toward them the griping falls away beautifully for each of them, and through Megan's eyes we come to see Heinrich, Nathan and Ricky anew... as well as appreciate them and those who they stand for. I loved this movie on so many levels. I suppose one of those is that my own father was much like one of the Wednesday morning breakfast club. Every morning he would leave the house at 5 a.m. for breakfast at a nearby cafe, where he would eat and spent two hours with the other regulars. That was his routine. Dad's been gone for a little over six months now and I still miss him doing that. So The Wednesday Morning Breakfast Club resonated with me. It made me realize how thankful I was for the time I got to spend with Dad, especially after Mom passed away. I think this movie is going to resonate with a lot of other people like that. I didn't work anymore on my book that night, but I came away feeling that it was time well spent. And you no doubt will too. Here's the official Facebook page for The Wednesday Morning Breakfast Club. And if you wanna check it out for yourself (you should, you really really should) here's the movie's product page on Amazon.